Looking for the best way to combine self-defense training and a total-body workout? Then join us at Krav Maga Raleigh and take on the best Martial Arts Classes in town. We help men and women of all experience levels learn some of the world's most effective disciplines with the help of our high-energy coaching and unwavering support system. Don't feel boxed into one discipline or style. Our Martial Arts Training in Raleigh offers you the best blend of fighting styles, helping you learn effective self-defense skills for any situation. You'll walk away with a set of skills that simply can't be replaced and you'll feel more confident than ever to face down any challenge. 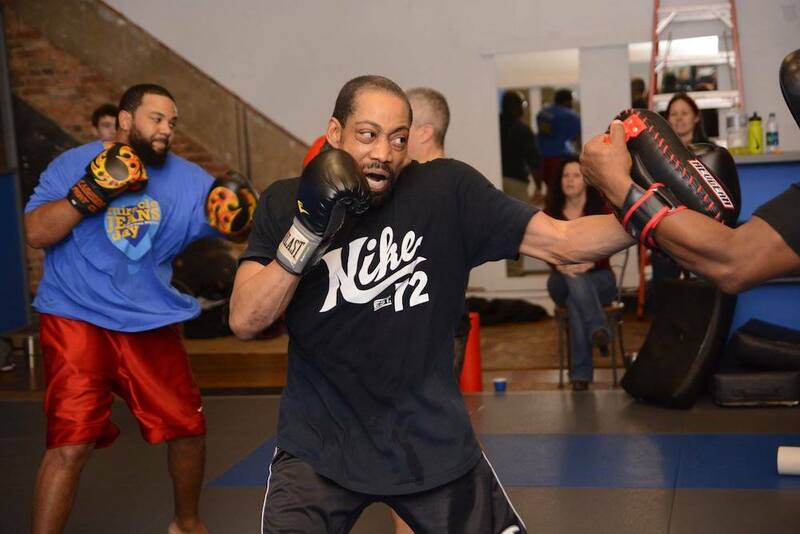 Martial Arts training is a total-body effort and we keep your body moving in each and every class. These heart-racing workouts keep you on your toes and help you establish long-lasting endurance. And the best part is, our workouts are completely scalable. If you're inexperienced, you won't have to sit out or change the program. Our skilled instructors will help you modify each movement and ensure that you get the most out of every class. Take your skills to the next level or build from the ground up with our Martial Arts Classes in Raleigh. Our staff is dedicated to your success and we can't wait to show you how effective our training can be. Just fill out the short form on your screen to learn more. A member of the Krav Maga Raleigh team will reach out right away to answer all of your questions!